The Capovaticano Resort Thalasso & Spa is located on one of the most beautiful stretches of the Tyrrhenian coast in Capo Vaticano, a place rich in history and legends, and a sacred place for the people of Magna Græcia. Legend has it that the prophetess Manto lived in a cave on the Capo Vaticano headland; sailors would visit her to discover the will of the gods and it is from her name that Mantineo, a rock situated 219 yds (200 m) off the headland, derives its name. At the Capovaticano Resort, you can watch the sun set behind the Aeolian Islands while sipping an unforgettable aperitif on a beach that can only be reached by sea; a little bit of paradise enveloped in myriad colors. The hotel interiors reflect the land and sea through soft curves and natural tones. Lounge under an elegant umbrella on a private beach lapped by crystal clear waters. Pamper yourself in the spa with holistic massages and detoxifying seaweed treatments. The hotel is a hidden treasure in a natural environment, whether it's seaside, country side, mountain, or urban retreat. Treat yourself to a memorable moment: a special evening accompanied by a romantic aperitif at sunset on the Aeolian islands. Enjoy a magical moment of wellbeing under the stars in the Thalassotherapy center. Flights from major Italian cities and European capitals. 40 miles (65 km) from Lamezia Terme airport & 65 miles (105 km) from Reggio Calabria airport; transfer to hotel in private car available (paying service). By train: take a Eurostar long-distance train to Vibo/Pizzo station or a Freccia Argento train to Lamezia Terme. By car from the north: take the A3 highway toward Reggio Calabria, take Pizzo Calabro exit, then head toward Tropea until you reach Capo Vaticano. The hotel is located on Tono beach. The hotel has 123 rooms with modern design split into three different types: Classic and Superior rooms feature a shower and Junior Suites have a shower and bathtub. 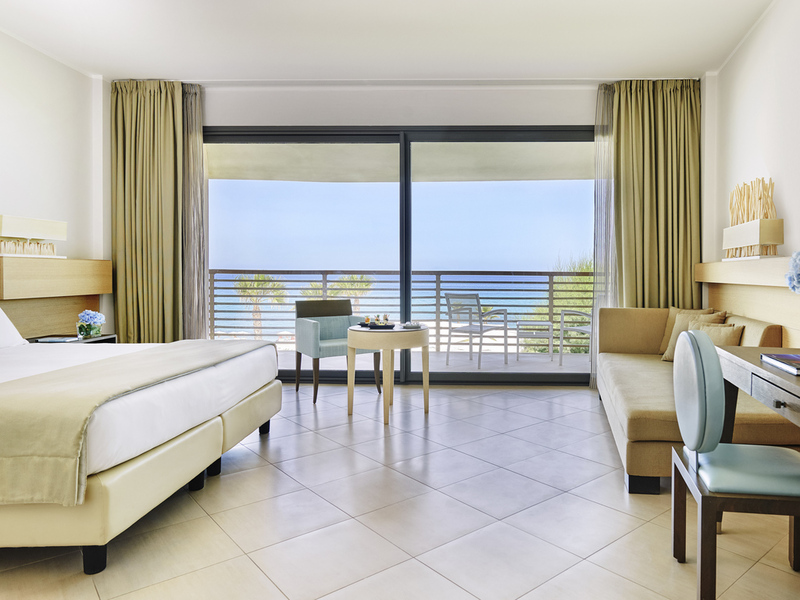 All rooms equipped with TV, minibar, safe, hair dryer, air conditioning and telephone. Classic Double Room, garden side. Shower, TV, safe, minibar, hairdryer, air conditioning, phone and WIFI. 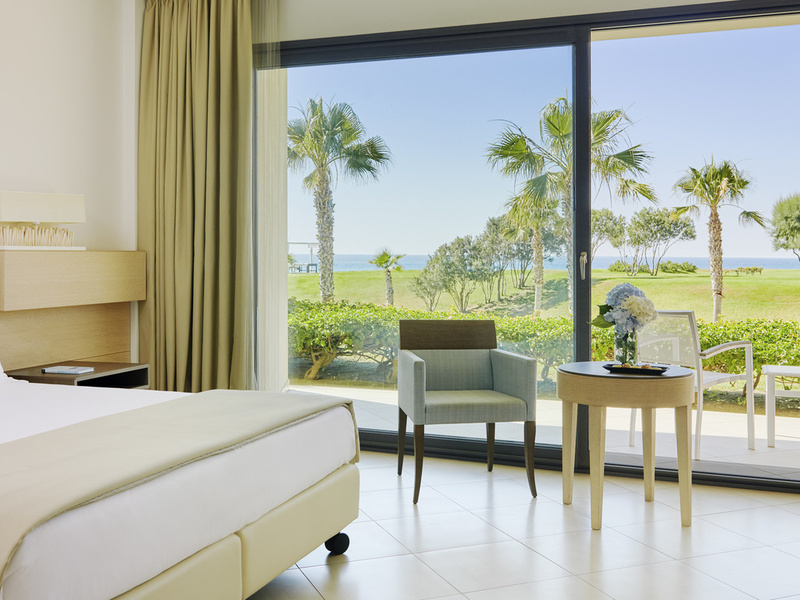 Double Classic Room sea side; option of adding an extra bed, Shower, TV, safe, minibar, hairdryer, air conditioning, phone and WIFI. Superior Double Room with sea view. Superior Double Room with sea view. The triple rooms have a relaxing chaise longue/sofa bed; additional bed available. 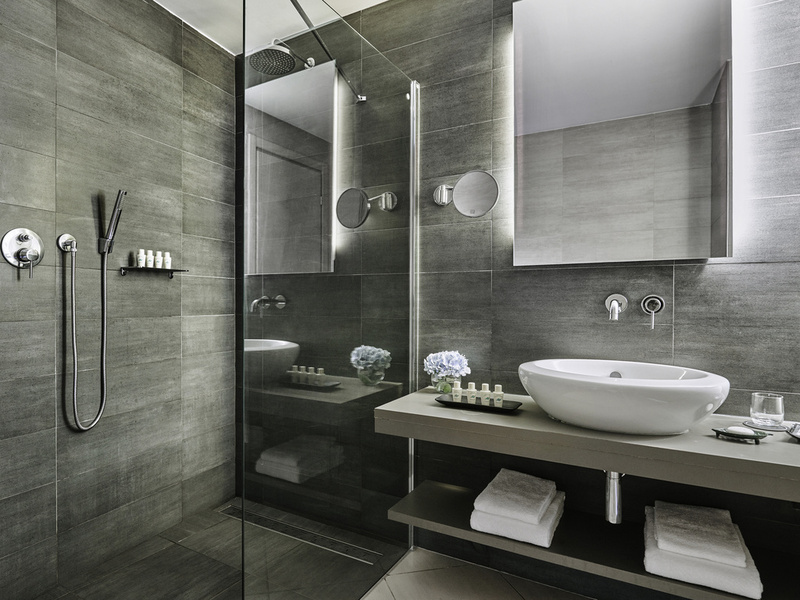 Shower, TV, safe, minibar, hairdryer, air conditioning and phone. Classic Double Room overlooking the garden with 2 single size beds. Shower, TV, safe, minibar, hairdryer, air conditioning, phone and WIFI. Superior Double Room with 2 single size beds and sea view. Option of adding an extra bed. 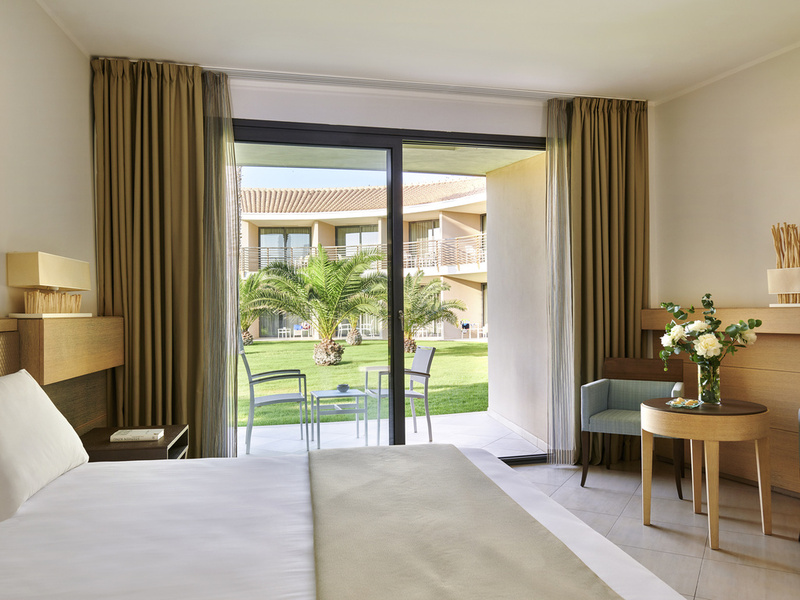 Shower, TV, safe, minibar, hairdryer, air conditioning, telephone and WIFI. Junior Suite Aeolian Islands view with terrace or balcony. 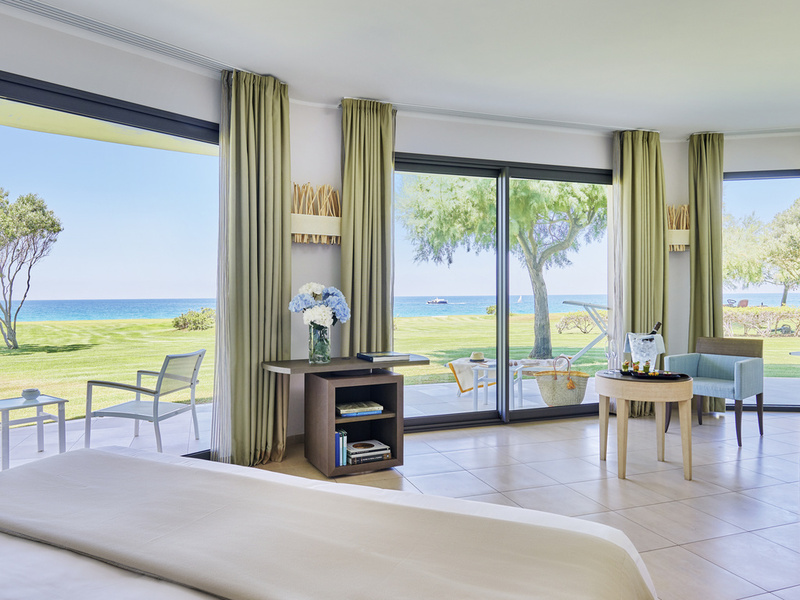 Junior Suite with balcony overlooking the sea and the Aeolian Islands. 1 double size bed and double sofa bed. Bathroom with bathtub and shower. Safe, TV, minibar, hairdryer, air conditioning, phone and WIFI. All the flavors of the Mediterranean... During your stay and at mealtimes, you will be able to discover the typical flavors offered by our two restaurants, Il Mantineo and Stromboli Beach Bar & Restaurant, in unique surroundings opposite the Stromboli. To refresh your taste buds, the hotel has two bars where you can enjoy fresh fruit juices, a wide range of local and international wines and homemade cocktails in pleasant surroundings. Savor a delicious candlelit aperitif, with piano accompaniment. At Il Mantineo you can enjoy a buffet of dishes from Calabria and typical Mediterranean specialties. The Stromboli Beach Bar & Restaurant offers an open kitchen and views of the Aeolian Islands. For lunch, enjoy the art of show cooking and light à la carte dishes against a backdrop of breathtaking views of the Aeolian Islands from a sea-front location. The main restaurant, Il Mantineo, offers an extensive, internationally themed buffet dinner or a four-course à la carte menu, depending on the season. Directly overlooking the sea with a stunning view of the Aeolian Islands, it offers international cocktails and piano bar entertainment in the evenings. Cocktails, aperitifs and wine tasting in a relaxing atmosphere. Breathe in the romance of this magical place, hand in hand, as you sit on the veranda before returning to the intimacy of your room for a glass of champagne. A special treatment awaits you in our spa. Enjoy exploring the history, culture and charm of Calabria in an elegant chauffeur-driven vehicle. Discover the fascinating town of Tropea, with its historic center and 7th-Century Norman cathedral. Contact reception for further information. Relax and recharge in the inviting depths of an outdoor seawater pool, with crystal clear waters and a sparkling backdrop. At the poolside, sip a cocktail from the Stromboli bar as you unwind on a sun lounger.